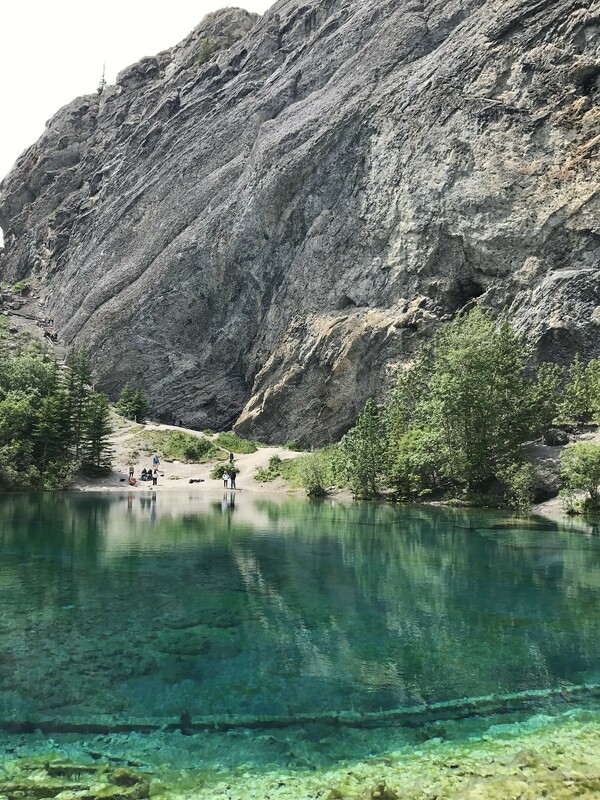 Grassi Lakes is everything you’re looking for in a hike; two beautiful turquoise coloured lakes and panoramic views across Canmore and the mini Mount Rundle range. 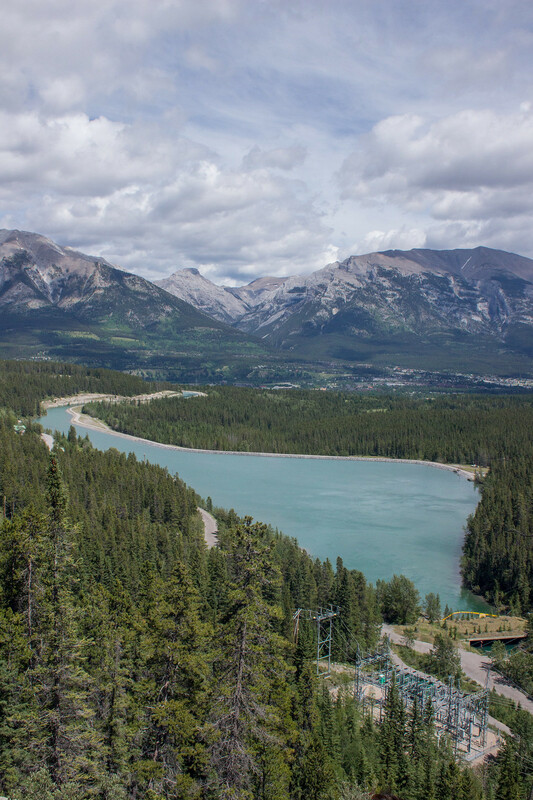 The two lakes, called Upper and Lower Grassi Lakes, were named after Lawrence Grassi; an Italian-born climbing guide and trail blazer. 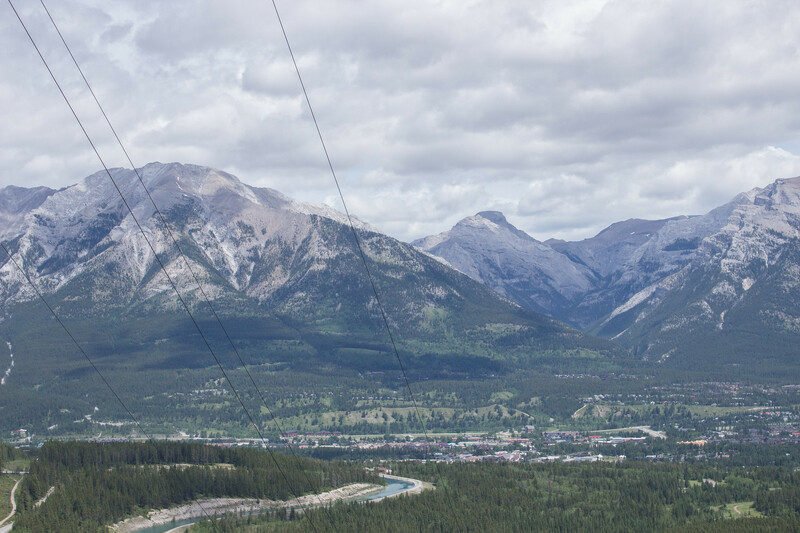 He sounds like a fascinating person and was responsible for building many trails in the Canadian Rockies. Could you imagine having that job? I bet he had some amazing stories. 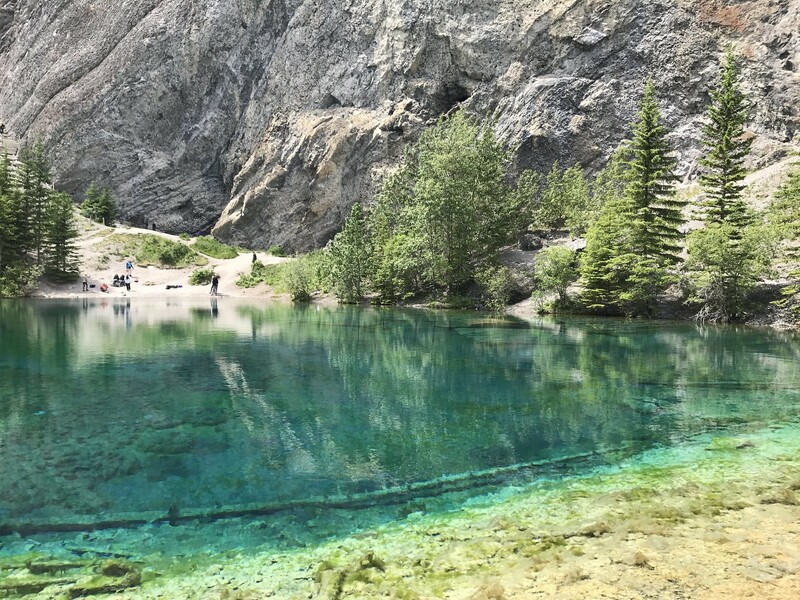 There are two trails up to Grassi Lakes; the “more difficult” route and the “easy” route. Of course, we took the “more difficult” route, because why wouldn’t we? 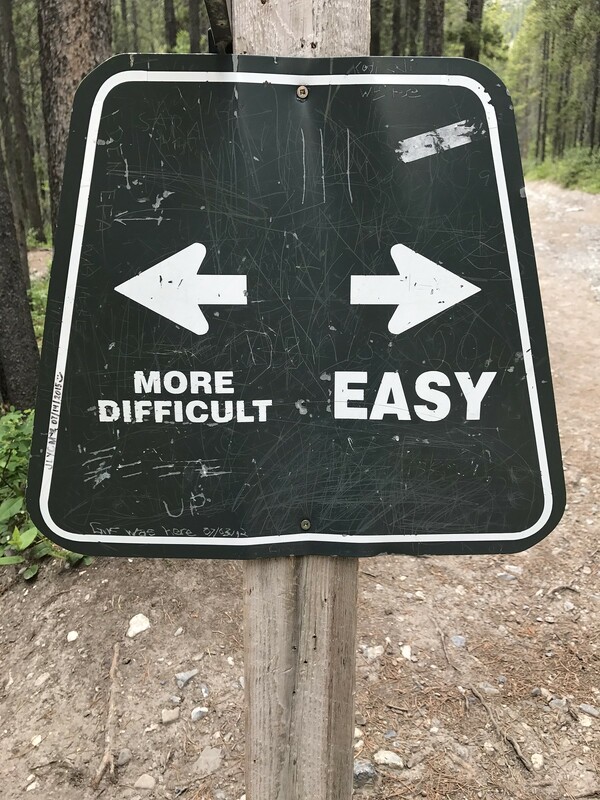 Turns out we ended up making it “even more difficult” because we channeled our inner Lawrence Grassi and blazed our own trail. It all started well. 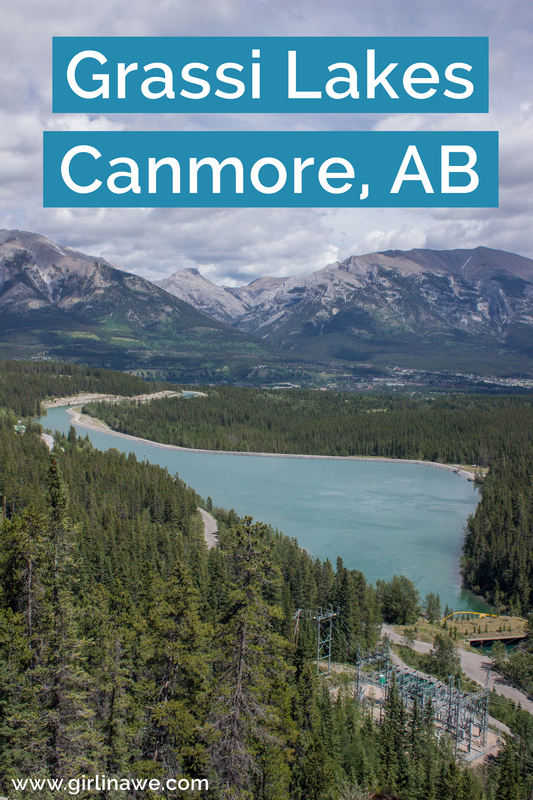 We followed the trail and were floored by the beautiful views over Canmore and the Bow Valley. And then we came across the waterfall. 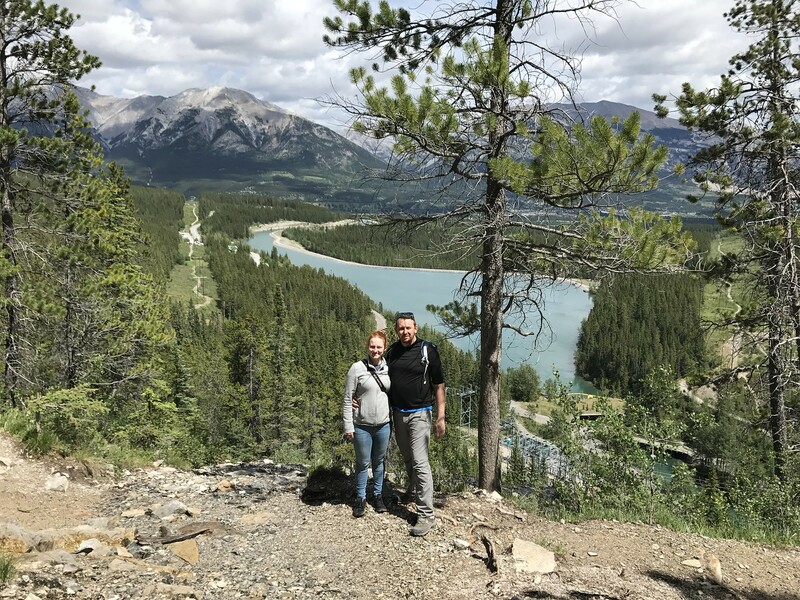 We took in the views and then tried to figure out where the trail went. It wasn’t immediately obvious but we eventually spotted what we thought was the trail; it was a kind of worn path, in our defence. After a couple of minutes of pulling ourselves up a bank we realised there was a solid chance we were not on the trail at all. Thankfully, Daz had looked at the trail map at the trail head and knew that if we kept going up we would reach the easier route. He was right. We did reach the service road, but not after some serious climbing up a very muddy bank, and grabbing onto trees. At some point on the way up, I managed to lose my sunglasses as well. The view from the top was absolutely worth it, and the colour of the lakes in these photos do not do them justice at all. Thankfully we found the trail to head back down on and discovered where we’d gone wrong. From the waterfall, the trail went up some steps which blended in to the trees and foliage. While they were a little camouflaged, I have no idea how we missed the steps. 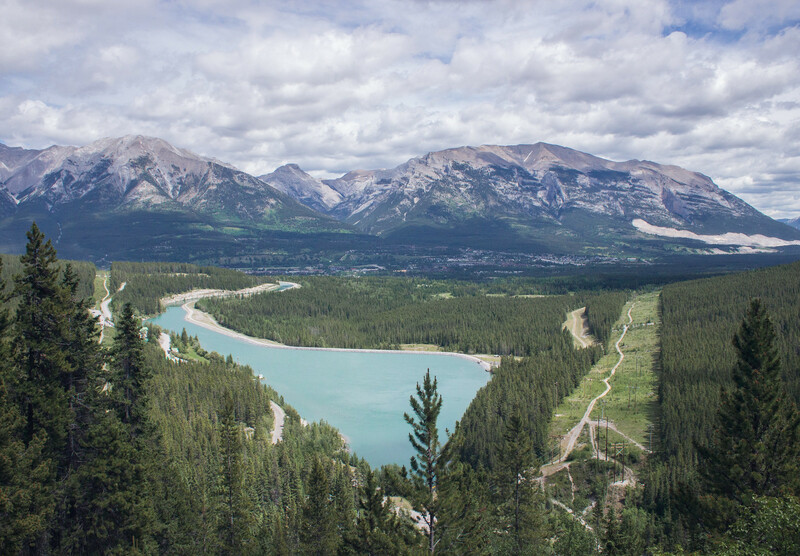 At 3.8km there and back, the trip up to Grassi Lakes can easily be done in a couple of hours. And the harder route really isn’t that hard at all – unless you decide to blaze your own trail. Have you ever got lost on a trail?